Best things in life are believed to be discovered by coincidence. 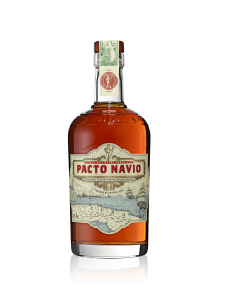 The exclusive Cuban rum is a nice complement on the Slovak market whose birth had been precipitated by an unexpected, yet pleasant event that happened more than 200 years ago. So in Slovakia, we can definitely look forward to the latest arrival in the world of top-shelf spirits that boasts a gripping and adventurous history. New office space for Pernod Ricard Slovakia. All employees are welcome to enjoy! Pernod Ricard Slovakia underwent a great deal of significant changes just before the end of the year – besides recording a continuous business growth, it is also moving to new premises. So staffers definitely have a reason to enjoy a new office space in an exclusive neighborhood of town. And we are not merely talking about run-of-the-mill office space. The UN Global Compact Summit 2018 has awarded the most initiative companies in terms of business sustainability. One of the 34 companies honored for their effort, is Pernod Ricard with the appreciation even higher in the light of Pernod Ricard being the only representative of wine and spirit producers! September 6th is going to be the day dedicated to gin - and that's because Gin Fest is taking place in Bratislava yet again for the second time where fans will have the chance to have a blast with bartender stars, enjoy their signature drinks and specialties and a lot more from the world of gin. Pernod Ricard Slovakia is part of the Pernod Ricard group, the world’s co-leader in the production and distribution of spirits and wines. Currently, we distribute more than 40 world famous brands of alcohol to our market, among others Becherovka Original, Absolut, Jameson, Ballantine´s, Chivas Regal, Ararat, Havana Club, Beefeater, Jacob´s Creek wines or champagne Perrier-Jouët.